Everyone knows the story of the Night Before Christmas, and has heard and seen countless stories about how the jolly old elf gets around with all those presents on Christmas. But when you stop to think about it, reindeer are really an odd choice. We'd like to propose an alternative: goats. First of all, reindeer are highly specialized for enduring long, cold winters, not variable temperatures across the globe in a one-night sprint. Goats, on the other hand, are found in all climates, and can adapt anywhere. And when it comes to clambering on rooftops, who would you trust more: a pack of clumsy caribou, or the most agile, sure-footed animals in the world? "But, guys," you say, "goats can't fly." And you might have a point, if reindeer could. But the story goes that there's something magical in Santa's reindeer food. (It must be to animal feed what our Wonder Beard is to the average beard product.) So really, it could be any animal. Why not a fearsome beast, like a lion, or a cheetah? Sure, speed, sounds great. But predators would be off your roof or pulling the sleigh off course in a second every time it spotted a tasty bird or humble household pet. Horses are too big and just wouldn't fit on the roof. No matter how you look at it, the goat is perfect. Lest you think they're too small, the Norse goddess Freyja had her chariot pulled by house cats. Now, let's think about economics for a second. Reindeer spend the winter eating lichen, digging through the snow to find forage, and apparently need a lot of real estate to find their fill. And the rest of the year, they soak up a lot of nutrition to produce those antlers, so they'd be more expensive to feed compared with goats. Goats will eat anything, even tin cans, if you can trust old cartoons. This also means that goats eat the tough stuff that other grazing animals ignore, and people will pay to have your goats clear out their brush and brambles. This is a solid money-making opportunity for ol' Kris Kringle in the off-season. 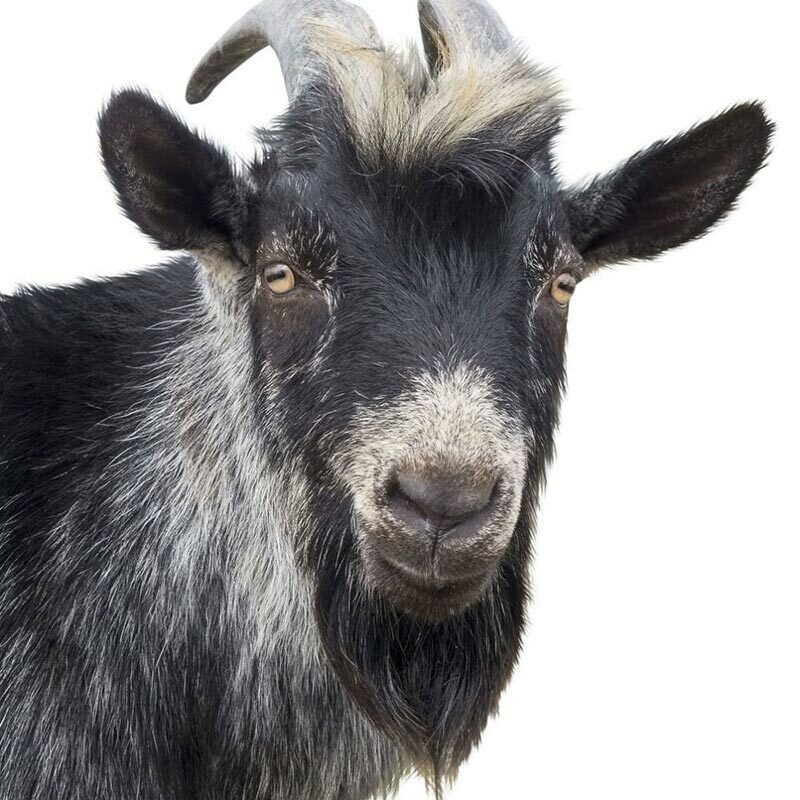 And if you needed any more convincing, goats grow some wicked awesome beards. Up till now you may have thought this was just idle holiday humor, but goats have history on their side. Before the Night Before Christmas popularized the reindeer in the 19th century, there was another tradition in Europe: Julbocken, or the Yule Goat. It used to be that someone in the family would dress up as the yule goat the way someone dresses up like Santa today. And the goat brought the presents himself before Santa took over as the dominant symbol. But what say we break with one tradition, just a little, and mix in an old one? Santa and his team of bearded goats? Anyone? Buy a beard gift set for all the bearded men in your life and tell them the yule goat brought it himself.